Once again I woke up early. Not as early as the days before but still early, which is not a huge issue because as earlier I get up as more I have from the day. My stomach was also better after something was wrong with it yesterday. There were no further problems with that one. I started the day with some grocery shopping. 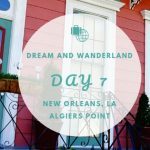 For my two-weeks stay in New Orleans, I live in a self-serviced little house with no breakfast or other meals included. Therefore I need to take care of myself. So said, so done. Hopefully, it is enough for the whole time. I hate shopping, so I try to avoid it as much as possible. But for budget reasons, I cannot eat out two to three times a day. Afterward, it was time for a little bit of sightseeing. I booked a tour with a hop on hop off bus. I love those tours as much as I love those city passes as I used in New York City. It’s the easiest way to get a lot of information about the surroundings, sometimes even restaurant recommendations and many more. Also getting around without overthinking by yourself the whole time is pretty convenient. 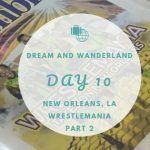 The Superdome and the smoothie king arena are a bus stop which was great as I wanted to buy some tickets for the upcoming events of the WWE anyways. It also goes to the Garden District, which is on my bucket list for this visit. Discover this part of New Orleans will be on my plate for tomorrow. As soon as I bought my tickets for WWE, I hopped on the next sightseeing bus and finished the tour. I jumped off the bus back in the French Quarter and found a super delicious lunch at the Gumbo Shop. I had my first ever Gumbo, and I loved it. The last time, when I visited New Orleans, I had a Jambalaya, which was not bad, but not as good as this Gumbo. I definitely want more of it. 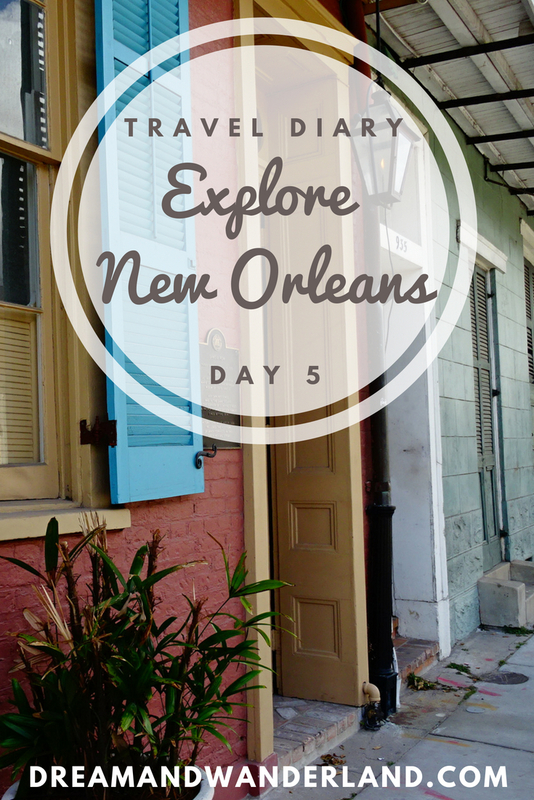 It was almost 3 p.m. when I slowly went home by strolling through the streets of the French Quarter. A welcome surprise was a band who played in the middle of Bourbon Street. I love that! Those bands are everywhere! When I finally arrived home, I was ready for a little “Siesta.” I always get a bit exhausted, when I am outside the whole day and eat delicious stuff and have so many different impressions. In such moments I am happy to have a real “home” for the time being and not only a hotel room. What do you prefer, when you are traveling? Is a hotel/ hostel room enough for you or do you prefer your own home-like apartment or house? 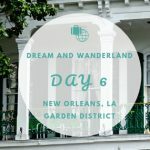 Feel free to catch up on previous days here or get a weekly summary and other travel inspiration! 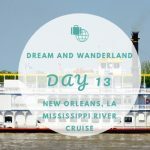 Previous article Day 4 – Welcome to New Orleans,Louisiana! 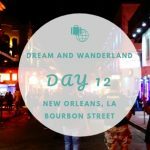 I went to New Orleans in March and I just fell in love! I thought it was such an amazing city. I hope to go back again soon! 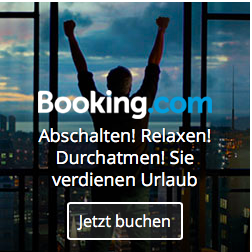 Can´t agree more! I love New Orleans! Which was your favorite part?